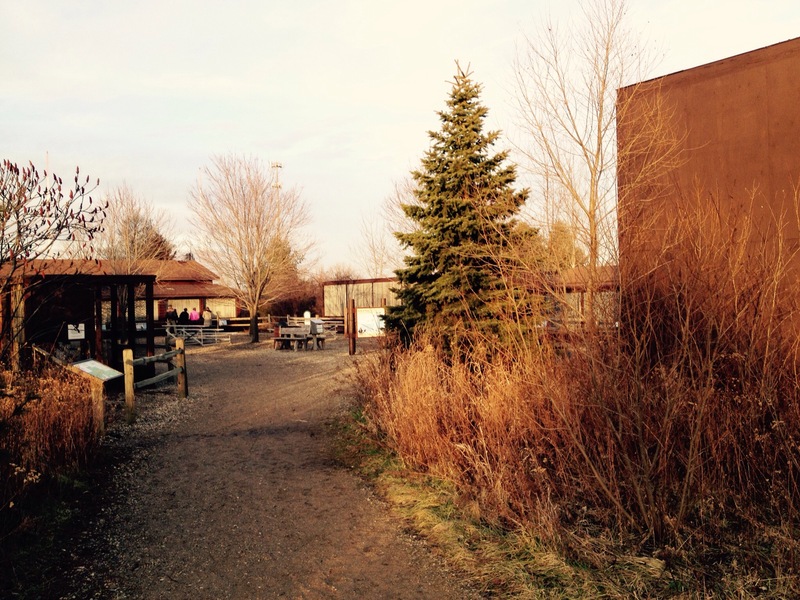 The day after Christmas, we took a trip to the Outdoor Discovery Center. 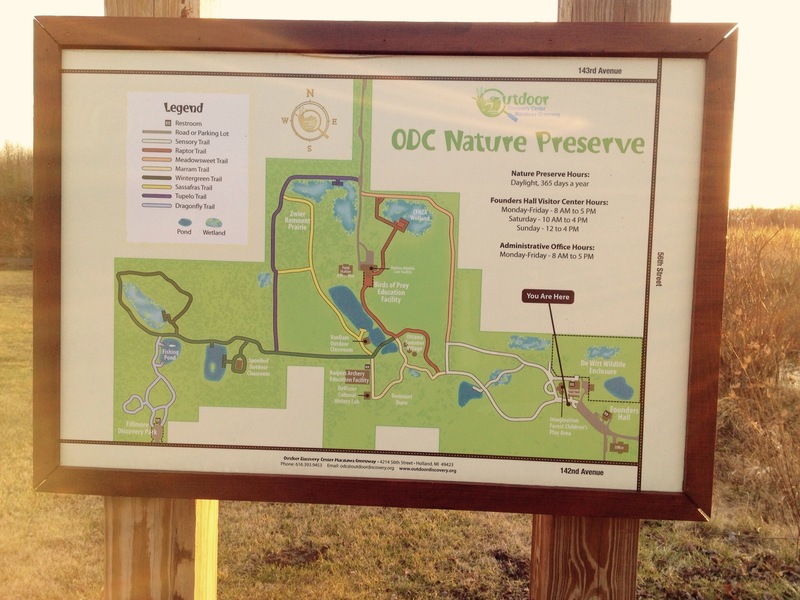 This local gem, located amongst the blueberry farms south of Holland, Michigan, was developed a number of years ago for the purpose of educating youth about nature. The center is open to everyone for free, although donations are gladly accepted. It is about 2 miles due south of my former workplace, and there were many of my lunch hours spent resetting my priorities on their trails. Diana introduced me to it a few years back after she had come here with one of her graduate classes. 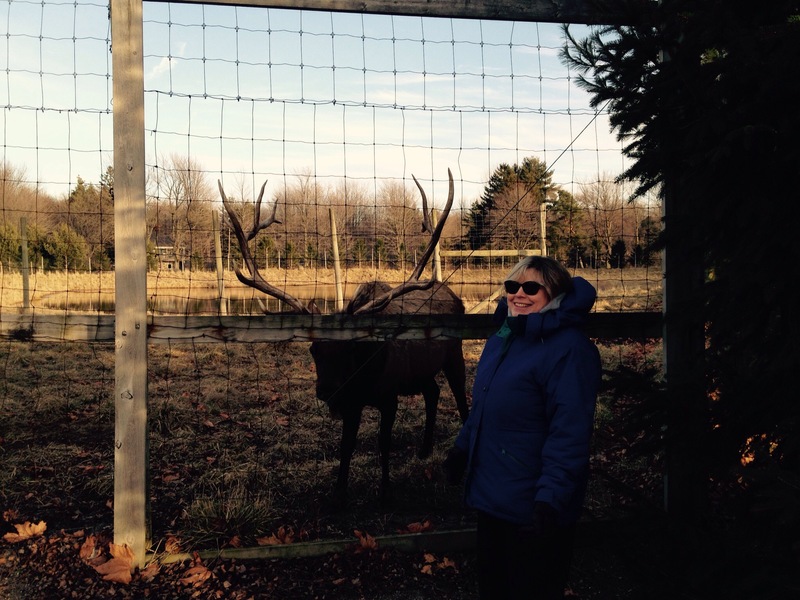 The first thing you encounter when you arrive at ODC are the elk. This bull was quite interested in Diana’s presence. 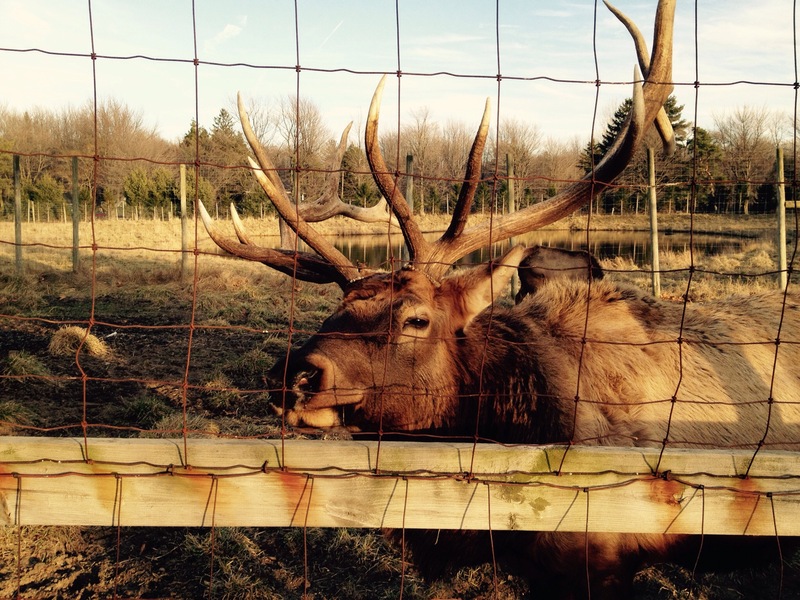 The elk herd are visitor favorites, and are usually the first place that kids run to upon getting off their school busses. There is a good sized habitat set up for them at ODC. 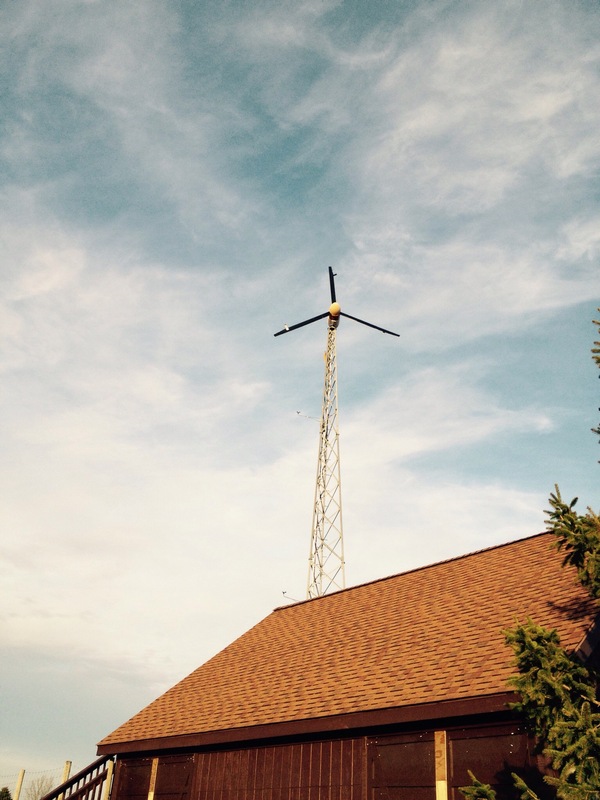 Adjacent to the elk habitat is a wind turbine. ODC uses this to provide power to their classrooms and visitor center. 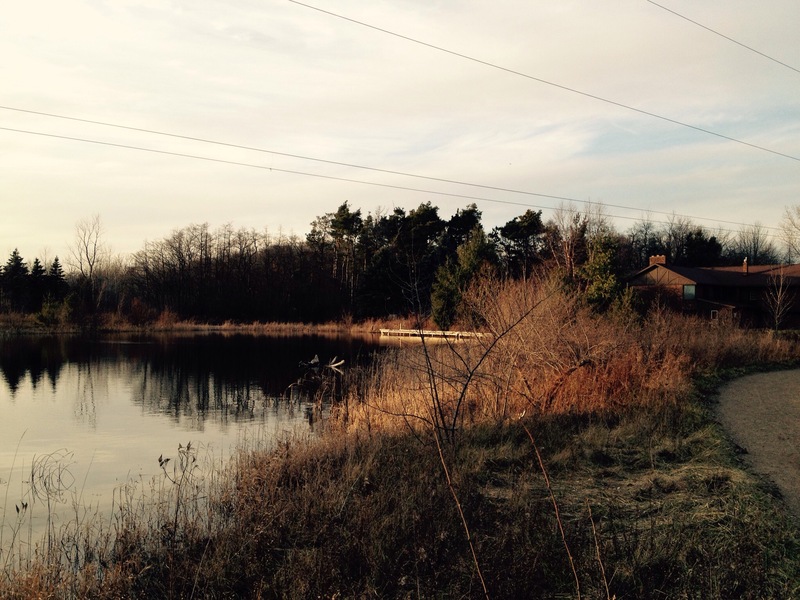 The center is an assortment of habitats, combining ponds, marshes, woodlands and prairies. The trail system is extremely well marked, with maps dispersed throughout the facility. 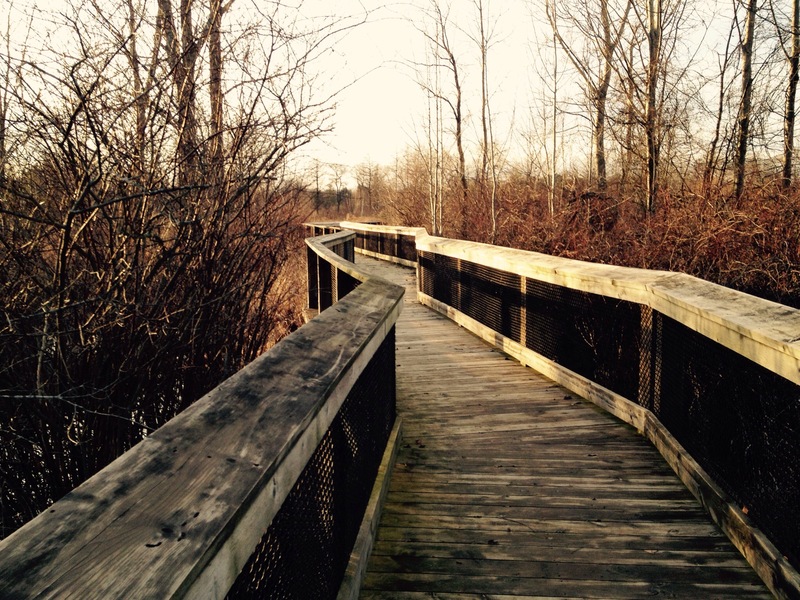 Most of the trails are ADA compliant, with an extensive amount of boardwalks used through the marshes. Farther back on the trails is the Birds of Prey exhibit. 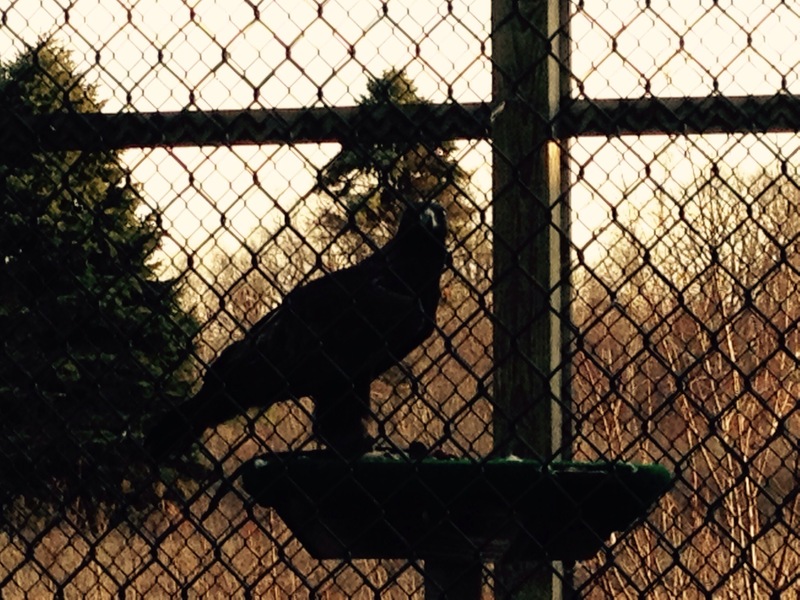 This facility has been set aside to educate visitors about the raptors native to the area, using injured birds that are no longer able to remain in the wild. This was a favorite destination of mine, especially after a stressful morning. This Golden Eagle has always been my favorite. What a powerful and majestic bird! 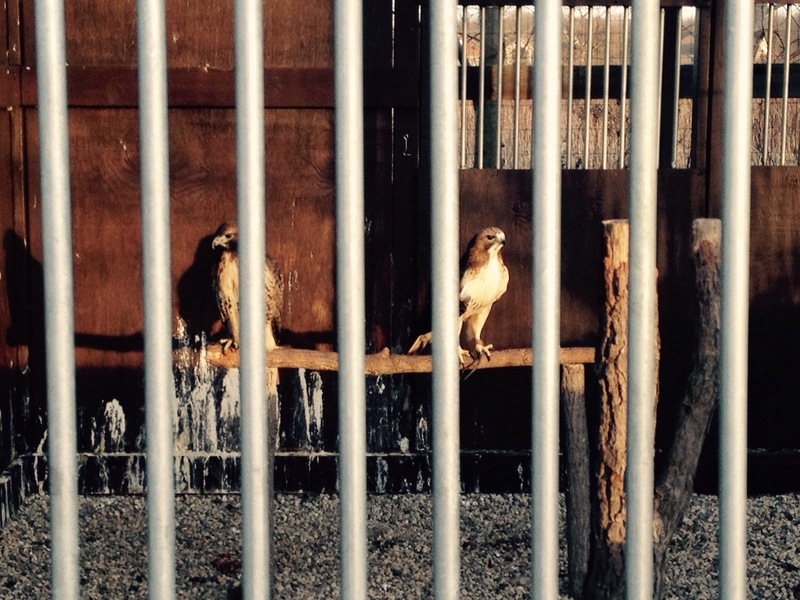 They have an assortment of hawks, owls, falcons and merlins. 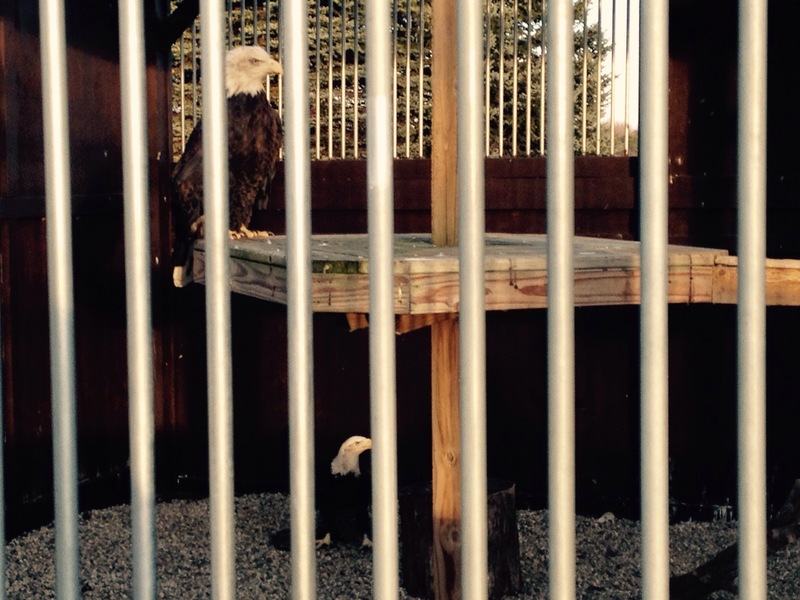 They also have a pair of Bald Eagles. Many of these birds were brought here after run-ins with man-made objects. A special shout out to the owners of the chiropractic clinic I go to; Drs. Brian and Karla Parkhurst. They were instrumental in bringing this exhibit to ODC and are long time supporters. 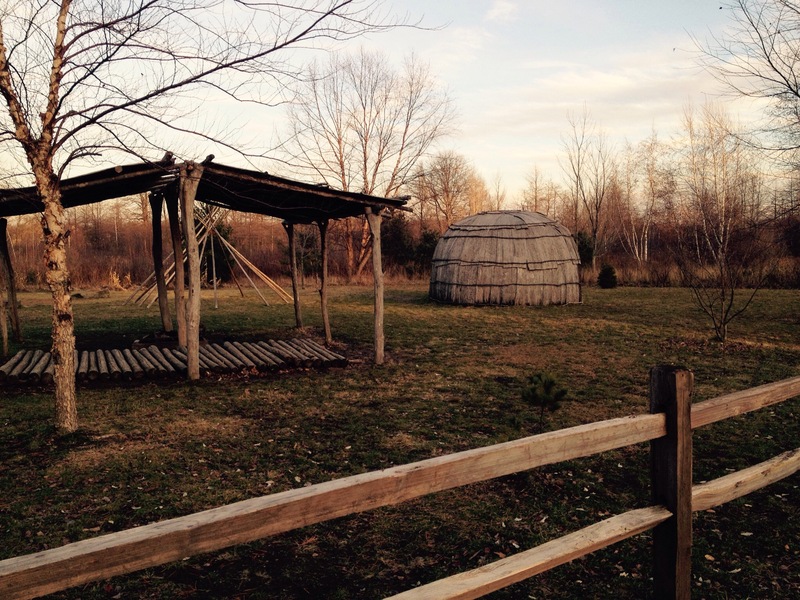 Another feature of the center is the Native American village. Students are taught how local tribes lived and constructed their shelters. 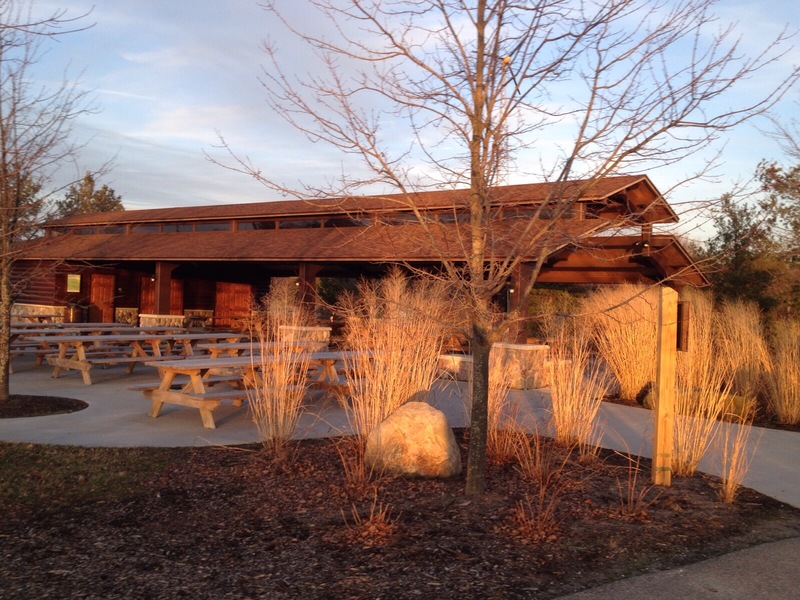 A couple of years ago, ODC added this beautiful shelter and picnic area. This is a great meeting area for school groups. 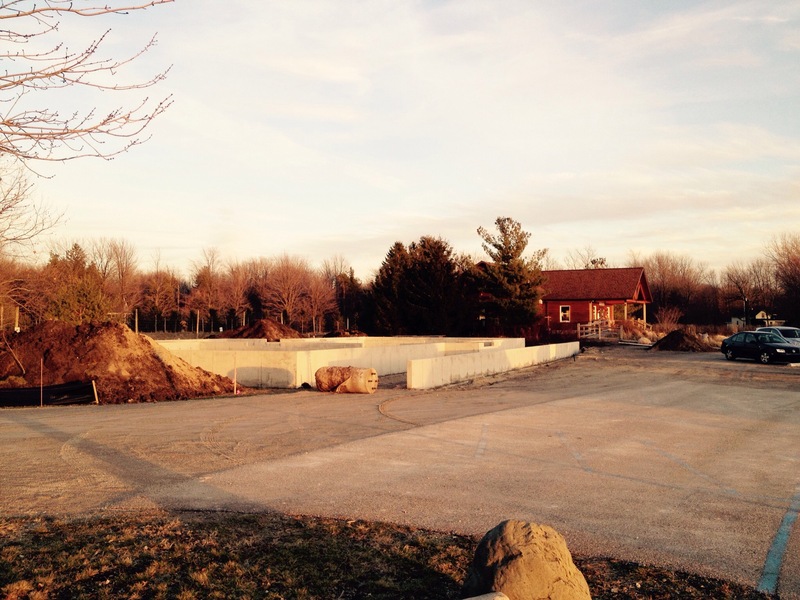 Just off the parking lot, a new visitor center and classroom facility is under construction. As a testament to West Michigan philanthropy, this building was made possible by several sizable donations from the community. 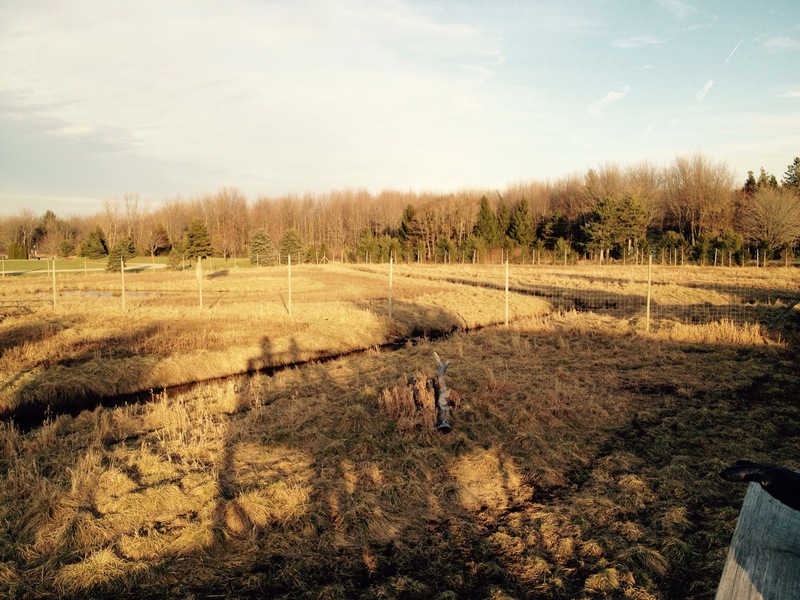 We spoke with the gentleman who originally owned the land the center is located on, and he indicated that the donors went above and beyond what was asked. As a result, ODC is going to be able to construct a much needed parking area at the front of the facility. It was nice to be able to get out on the trails again on what was a beautiful late December afternoon. ODC is located in a notorious lake-effect snow belt, and they were the recipient of over 150″ of snow last season. To have 50 degree temperatures and clear trails the day after Christmas was a real treat. Previous PostStay healthy for the holidays!Next PostBaby, it’s cold outside! How nice to have such a wonderful place to go to due to the generosity of others. And to have a nice winter day to go, is a double treat! That sure was a great day for December! Today (December 29) is just as clear, just a bit cooler. 0.3″ of snow on the month in Grand Rapids. After our snowiest November ever, who would have guessed it? Diane and Jim…Wow this is a pleasant surprise….George and I are doing great…The letter was crazy…we haven’t been to Fife in a years, I miss it..Hope you get this!!! Awesome! It is great to hear from you guys! How old is Stephanie now? Those sure we’re great times up at Fife Lake. So many excellent memories! Stay in touch and shoot us an email. We would love to get together sometime! Fully agree with your quote! Looks like a nice visitor center. It is great that these kind of places exist to educated kids on nature. I feel many kids today are somewhat disconnected to nature, and if they don’t know/care about nature we can’t expect them to take care of it for the future. You are so very correct on that point, Inger! Seeing that photo of the wind turbine reminded me that I’ve actually seen 2 RV’ers who travel with a wind turbine for generating power. instead of putting solar panels up. I can’t see how that’s a very ‘convenient’ solution to generating electricity but I guess it works for them. There is a lot of noise involved with a wind turbine, also. The one at ODC is very loud. Glad you liked the quote! You’re right about the noise. Seems a lot of fuss and bother overtime you move though.